Quiz: How Much Do You Know About Blackheads? You know that you want to get rid of Blackheads, but how much do you really know about them? We believe that knowledge is power—the better informed you are about your enemy, the better equipped you’ll be to fight back! Take our quiz and discover what you know about Blackheads. 1. Blackheads are pores clogged with what? 3. What’s the best way to get rid of Blackheads? (e) Use a treatment product that absorbs excess oil. 4. What’s the difference between Blackheads and Sebaceous Filaments? (c) Sebaceous filaments are darker in color. Scroll down to see the answers! 1. (c) Dead skin cells and sebum. Blackheads are not caused by dirt or poor hygiene. Rather, they are the result of a buildup of excess oil and dead skin cells. 2. (a) Open comedones. Blackheads are a hardened mass of oil and skin cells in an open follicle (pore). When this mass is exposed to oxygen, it darkens—hence the name ‘Blackhead.’ When the comedone is closed, the result is not a Blackhead, but rather a whitehead or pimple. 3. (d) None of the above and (e) Use a treatment product that absorbs excess oil. 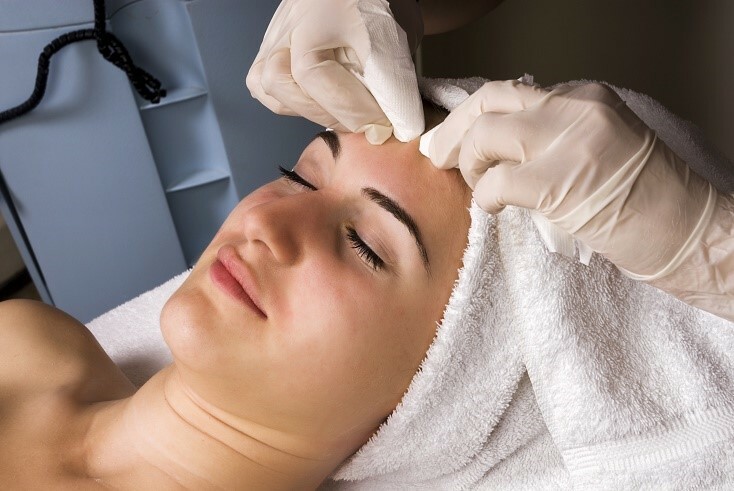 One of the best ways to remove a Blackhead is to have it extracted by a licensed professional such as an esthetician. In fact, regular facials are an excellent way to keep Blackheads at bay. Never pick or squeeze at your skin. Using an extraction tool is also a bad choice; it may cause permanent scarring. Use a clay-based treatment product specifically designed to absorb oil and help prevent/remove Blackheads. 4. (b) Blackheads can be removed. Sebaceous filiments are hair-like formations that help facilitate the movement of oil in the lining of the pore. This is a necessary function that helps keep your skin lubricated and protected. For those with more oily skin, sebaceous filaments will be more prominent. The oil in your pores will always return to help replenish your skin’s healthy protective barrier. Blackheads, on the other hand, can be removed and will not necessarily return in the same spot.